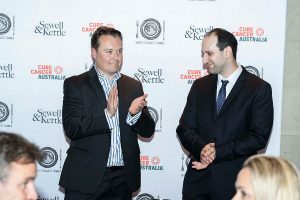 Sewell & Kettle are proud to support the efforts of Cure Cancer Australia. 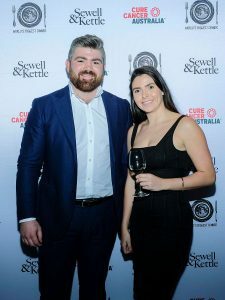 On Friday 5 October 2018 our firm held a charity fundraiser for Cure Cancer Australia at Sokyo restaurant at the Star. All monies raised by donations and the charity auction were donated directly to Cure Cancer Australia (https://www.curecancer.com.au/). The mission of Cure Cancer Australia is to identify, assess and fund research to achieve the goal of curing cancer for good. 50 friends and supporters of the firm attended the event. 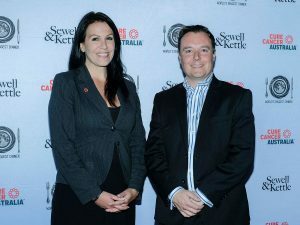 The guest of honour was the CEO of Cure Cancer Australia, Nikki Kinloch. Nikki spoke to us about the importance of cancer research and her charity’s mission. The lucky bidder’s charity auction prize! 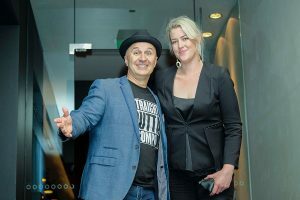 Victor Gugger, Chairman, and Clare Winterbourn, CEO, of Born Bred Talent, were special attendees who we thank for helping to organise the event. 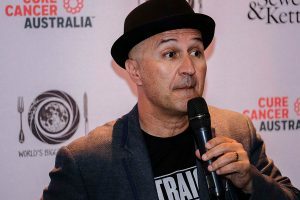 Born Bred Talent is Australia’s most successful influencer marketing agency. We were also honoured to have Dr George Sharbeen attend. Dr Sharbeen specialises in the research of pancreatic cancer. He spoke about the support and awareness that Cure Cancer Australia provides for cancer research in Australia. 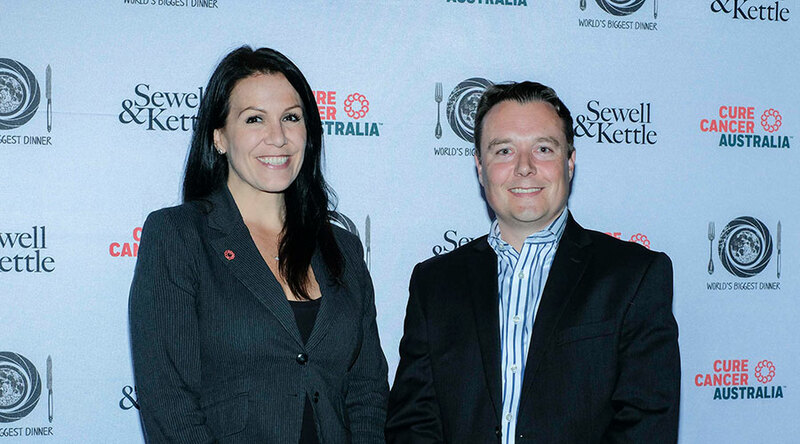 In support of Cure Cancer Australia and the World’s Biggest Dinner initiative and with the help of our guests we raised $11,086. Ben Sewell, Sewell & Kettle Lawyers, and Dr George Sharbeen, specialist pancreatic cancer researcher. Tahir Bilgic in full flight – fully sick! Our guests enjoyed a four-course Japanese-inspired banquet menu with a selection of fine wines, beers and Japanese cocktails to match. We were fortunate to have Pernod Ricard representatives join us for the evening and they treated us to a three-selection whisky tasting and generously donated a 3L bottle of Mumm champagne. 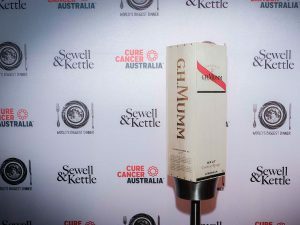 One of our lucky guests walked away with the 3L bottle of Mumm that was scooped up at the charity auction. Also, a big thank you goes to Tahir Bilgic who gave us a fully sick and strictly politically correct comedic interlude.